I'm not sure if the Moscow Mule is as trendy as it used to be, but I sure do still appreciate the flavors of this classic. In the past, I would feel really fancy ordering or serving one. Now, it can feel, dare I say it... basic (gasp!). However, I think the Moscow Mule is still such a tasty drink. 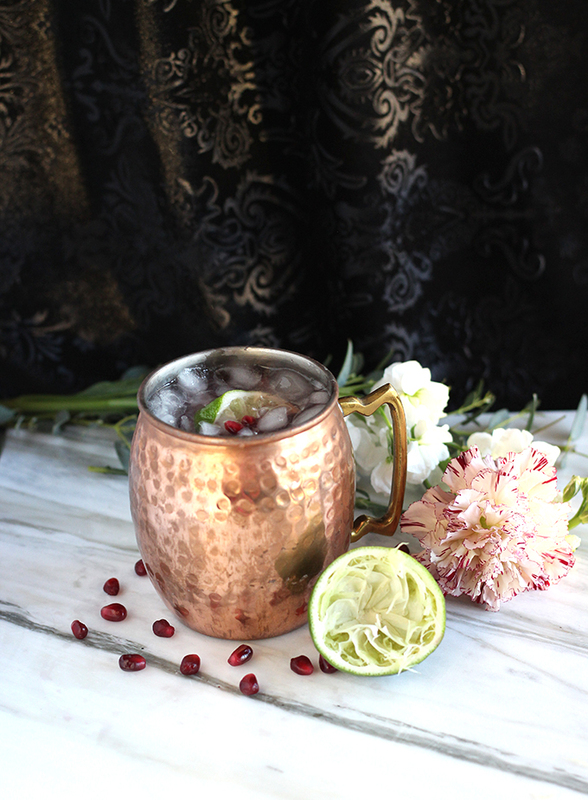 My latest variation of the mule has a bit of pomegranate pizzazz. 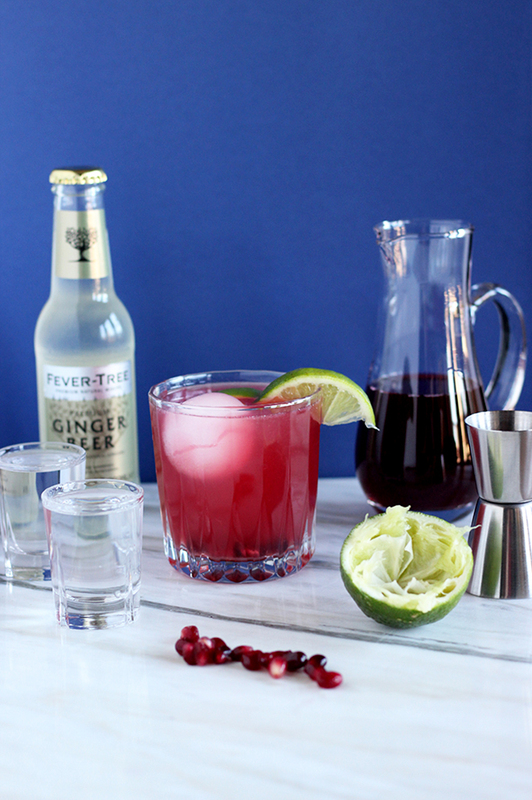 It can help switch up serving the same basic mule without losing the same great flavors. 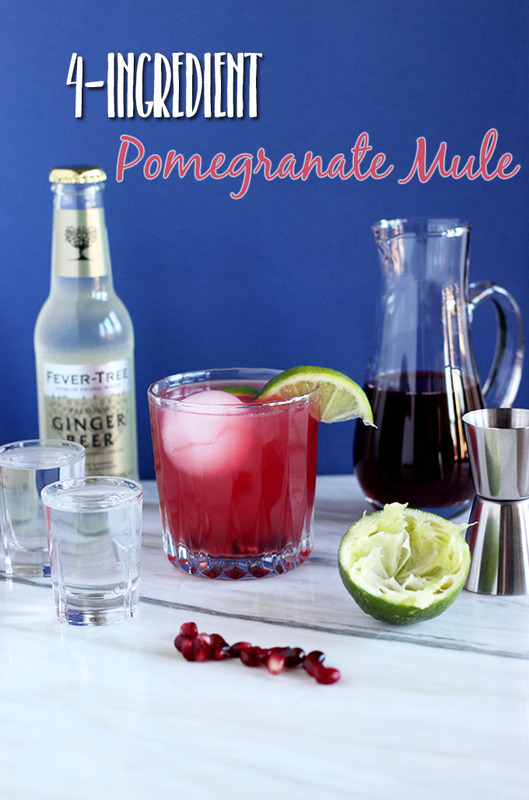 My 4-ingredient pomegranate mule has the same lime and ginger-y taste with a tart punch of pomegranate. It's so refreshing and the perfect easy drink to serve guests on warm weekend days (what's up 75 degree February days in Raleigh?!). This drink could also be served as a mocktail without the the vodka and you would still get all the great bright flavors. With only 4 ingredients and minutes to make, you can whip this drink up in a flash. It starts with 1/2 oz. of freshly squeezed lime juice and 2 oz. of vodka poured right into the final serving glass and give it a stir from 5-10 seconds. You can then fill the cup with either crush, cubed, or a single ice sphere. From there, add the 1/2 oz. pomegranate juice and 6 oz. ginger beer and stir the drink again for another few seconds so that all ingredients are combined well. 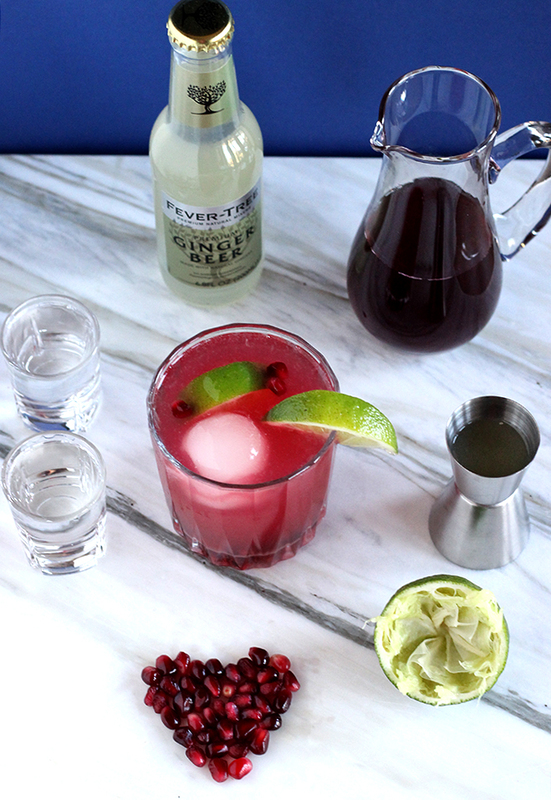 You can garnish the drink with a lime wedge and a few pomegranate seeds to step up the final serving presentation. Simple as that, friends. Enjoy!